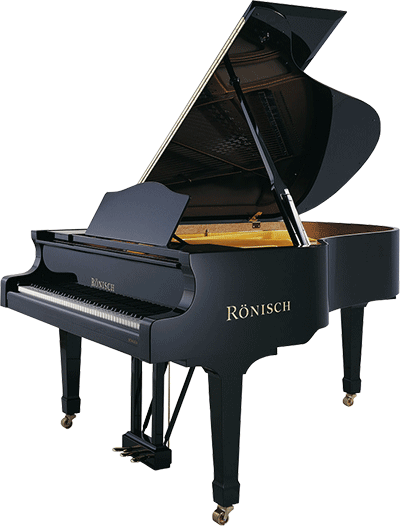 Early in 1845, Carl Rönisch started building pianos in his own workshop, and thus the great Rönisch Piano was born. 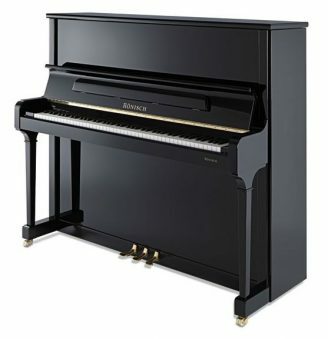 Company’s philosophy: fine tone quality by rock solid, durable construction.Carl Rönisch produced the first baby grand piano in Saxony in 1857 and after having delivered three grand pianos to the court of the King of Saxony, he was named Official Purveyor to the Court in 1859. After two moves to larger workshops, a small factory was established in 1862. The company had meanwhile grown to 60 workers. The fame of the Rönisch brand had spread beyond the regional borders, and due to the growing demand new business contacts were established. 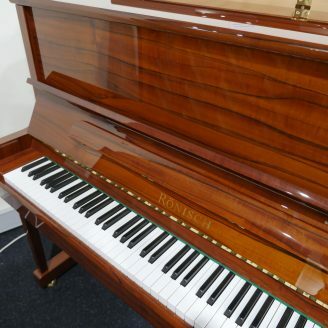 The main markets at that time were Russia, Sweden, England, Spain and Portugal.In 1866, he had the epoch-making idea of using a full cast-iron plate in the piano. This frame had five struts and fully covered the pin-block, which allowed for the first time a high tension scale. 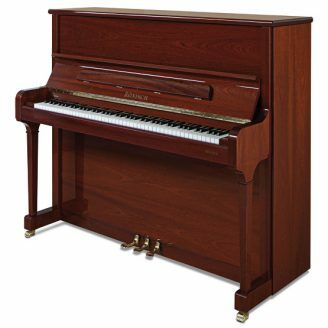 This revolutionary invention was soon adopted by virtually every piano maker and remains in universal use today providing power, projection, sustain and sonority in the modern piano.The building of a larger factory was required by continuously growing demand for Rönisch pianos. In 1873, the production started at the new factory in Dresden-Neustadt. 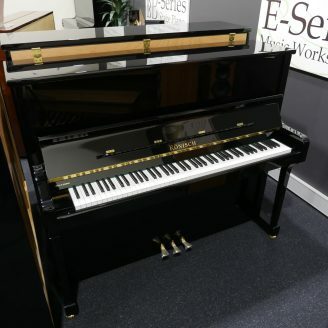 With a long and proud history in Europe, Rönisch has also been a major part of Australian music history having been here since the 1870’s and continue be one of the few hand made German Piano’s on the market.